“Samantha had 45 marbles. Her friend gave her 54 more. Label each sentence as true or false.” Followed by several statements that are easy to identify and the final one, which is not. It reads “Samantha needs to add her marbles to her friends marbles.” First of all, it should be “friend’s”, I assume, since only one friend is mentioned, but this question grammatically is asking if Samantha needs to add her marbles to her multiple friends marbles they don’t have possession of. This question further confused my daughter because her friend gave her marbles, so they’re not her friend’s marbles anymore. My biggest disappointment, however, is two other issues. 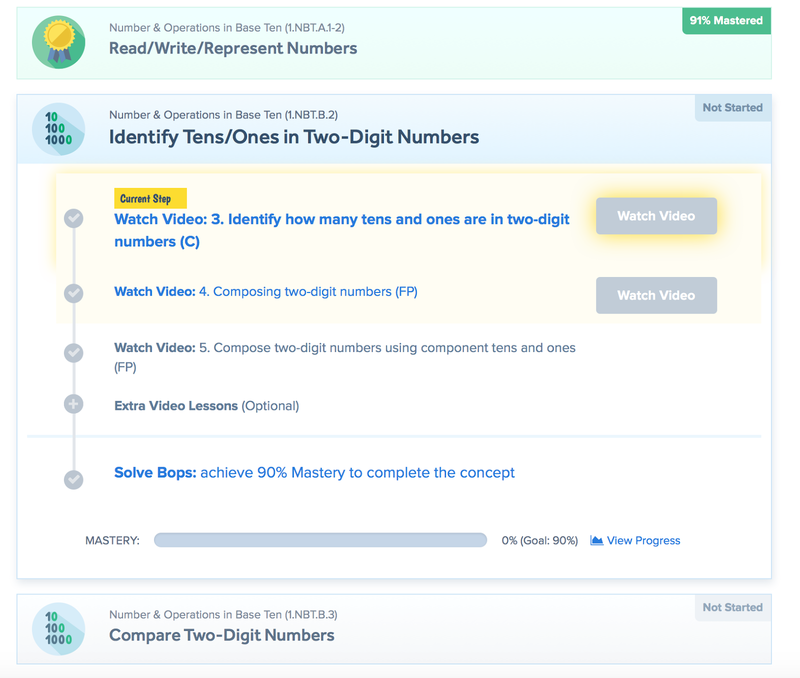 First, if a student asks to do additional “bops” or problems, they receive the same exact questions with different numbers. The word problems do not change (sometimes at all- even the numbers stay the same) even if they do 10 additional bops. Second, learn bop is SLOW in responding. We issued a complaint about the measurement question I detailed above last week and they still haven’t responded. The only option in that case is to move your child around that lesson on their learning roadmap, effectively skipping the section, because you can’t just delete or move on from an individual question, even if it is written incorrectly or the correct answer is not available. My 8 year old lacks confidence with her math skills, but she definitely feels like she’s got computer games down, so LearnBop LearnBop for Families was a perfect fit for her! She’s actually got a friend who has the school version, and she was always interested to play, so she was very excited to try the home version! It’s a great way to practice math in a fun environment! We’re using this program as summer enrichment right now, but I could see you easily using this as a year-round math program for your children! 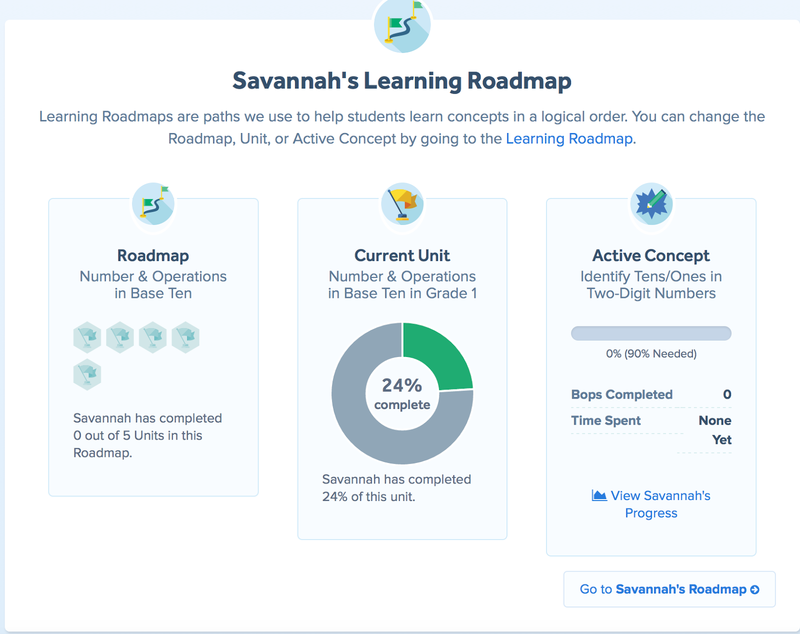 LearnBop offers each student a customized learning roadmap, which you, as the parent account, can access at any time. 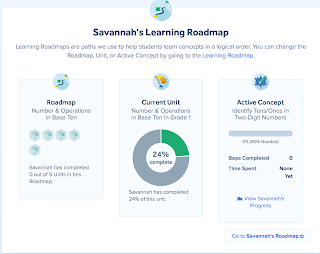 This provides you with broad insight into what your child is working on (Roadmap shows general concept), what specific task their working on and how much of it is done (Current Unit), and the specific task they are working on right now (Active concept). Each unit is divided into pieces. 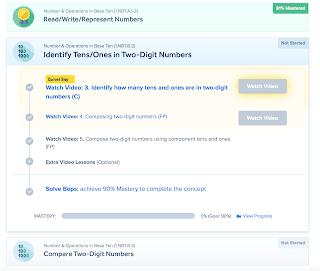 The first steps are videos, which, if you’ve ever used online math software, you should be pretty familiar with the idea of. They clearly and concisely explain the concepts that your child will be working on. Next, there are some problems to solve. The system requires your child to achieve 90% mastery in any given exercises (called “bops”) to move on to the next level. As you can see, comprehension of a given subject on the child’s roadmap is divided up in to the different grade levels. Based on how my child did on her pretest, with this concept it started her with review in first grade (she’s in 2nd, and again, lacks confidence, so this made sense). It will walk her through up to 5th grade base ten operations at some point, but it’s not mastery-based, so she’ll work on some other concepts and not just base 10 for weeks in a row. What I think really sets LearnBop apart is the videos. 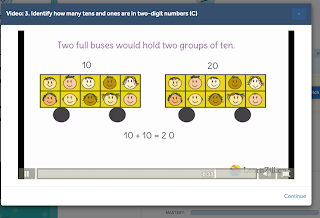 While the format is familiar if you’ve ever done an online math program, not to name names, sometimes the videos can be a little high-level and include confusing examples because they don’t use graphics to help a child audience. 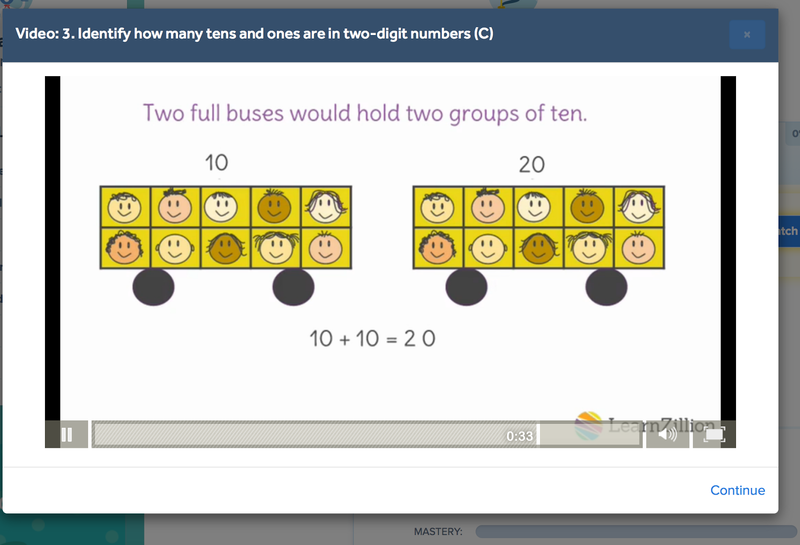 These videos actually demonstrate using pictures where applicable so that visual learners can connect with the information, as well. The bops are more questions than games, but that didn’t seem to matter to my daughter, who enjoys being on the computer no matter what the task. My 10 year old, who also tried the program, didn’t really enjoy the online aspect because he still felt the need to copy down every problem to paper, so he felt like he was doing twice the work, but that child has an old soul and technology just doesn’t speak to him the way it does to my other two!! It’s funny how different kids can be! The Family Plan includes up to 4 students, and the 12 month subscription I received is $199. You can also purchase per month, per student plans starting at $14.95, if you just need some summer “keep the brain functioning” coverage for your child’s math education. I think you’ll really like the online tracking of your child’s progress, the easy to understand videos, and the digital stickers and achievement to keep your child motivated as they go.